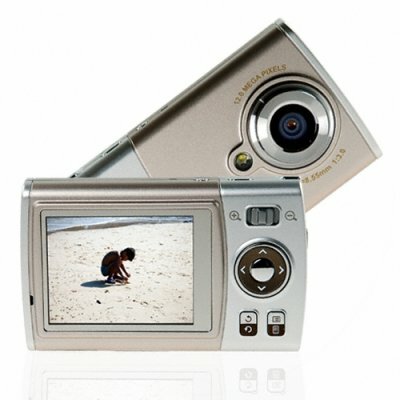 Successfully Added Digital Camera, 12M Pixel, 512MB Int.mem, 2.5-inch Screen to your Shopping Cart. Very high quality 5.1 Mega-Pixels CMOS with 12 megapixels via interpolation Digital Camera. Additionally, this wholesale priced camera comes with 512MB of flash memory already, with the ability to expand via SD/MMC slot, multiple languages, and a gaming mode. Another excellent wholesale discount Digital Camera ready to ship at once. Note on Interpolation: Please note that this camera takes images in sizes equivalent to 12 megapixels. This is through a software resizing process on the camera called interpolation. The image sensor of this camera has a native resolution of 5.1 megapixels.